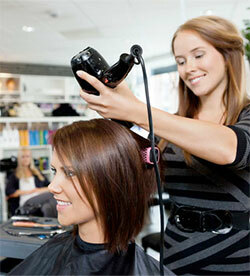 Do you have a burning desire to be a TOP Salon Stylist or a Cosmetology Instructor? Cameo Beauty Academy will help you achieve your goals. Our School has been training students in the field of cosmetology since 1960. The school has earned a reputation for EXCELLENCE and QUALITY of education. This is evidenced by its graduates who have achieved success in the many different aspects of the cosmetology profession. Credentialed faculty with multiple certifications with industry and teaching experience is key to learning. Cameo Beauty Academy is proud of our faculty experience and passion. Do you know who you will be learning from? 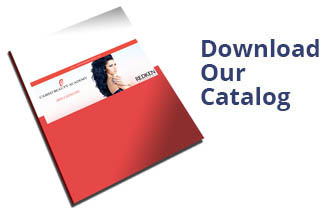 Cameo has Redken Master Certified and Redken Certified trained Specialists. This one's pretty obvious: An over-crowded classroom means less one-on-one attention from your teacher and less hands-on time with the equipment. The beauty and cosmetology industry is one where you definitely learn by doing. Cameo Beauty Academy makes sure that we give you the opportunity to become the best you can be. Do not limit yourself by just focusing on only one area of study, such as nails or esthetician training. A Cosmetology program will help you understand how to apply the latest trends in hair, makeup, and nail design, along with essential esthetician skills. This all-encompassing education can result in a long career filled with expanding opportunities. Cameo has been teaching for almost 60 years. Take time to read our testimonials and reviews, or better yet, talk to current students or graduates. Our graduates are prepared for the state's licensing exam and are salon ready! This business is all about learning to work with the clients. You can't get that kind of experience from a book, iPad or tablet of any kind. The idea of executing a complicated haircut or a lengthy color processing job while you’re still In training is understandably nerve-wracking. So, while some tout technology in a program, we focus on practical experience that will help you develop your skills. Cameo's tuition is affordable that delivers a quality education. Did you know that Ben Molin a Cameo graduate is Internationally recognized as an expert in fashion hairstyles and took second place in the debut show "Shear Genius" on Bravo TV? He outdistanced himself from the thousands of other stylists who auditioned. Find out how to get your career started and about our Scholarship opportunities! Our student salon is very busy. We service A LOT of clients! YOU DON'T HAVE TO BRING IN YOUR OWN CLIENTS! $500.00 Cosmetology Completion Scholarship and $500 Fall Back to School Scholarship* - Must be new, first-time enrolled students (Full-Time or Part Time). CALL, 708-636-4660 for details or click below to request info. Students can start classes almost any Tuesday!